Thanks to a new technique, scientists have discovered a massive neutron star. Neutron stars are quite fascinating. They can weight as much as two of our Suns, but have a diameter of 15 miles. Because of this, they are very, very dense. 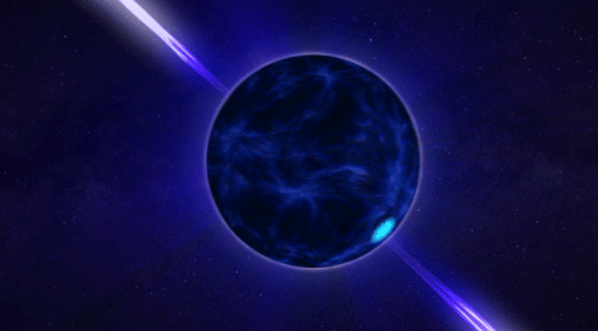 Scientists have discovered a new neutron star that has the mass of 2.3 solar masses (1 solar mass – weight of our Sun). Published in Astrophysical Journal this week, the newly discovered neutron star is one of the most massive we know about. The most massive start we know about has 2.4 solar masses. The newly discovered neutron star, called PSR J2215+5135, orbits a low-mass star. Because they are close together, it is difficult to locate them. However, a new technique from the Astronomy and Astrophysics Group of the UPC and the Canary Islands Institute of Astrophysics allows us to measure the mass of a neutron star in a compact binary, like this one. For this technique of theirs, the had to use the Gran Telescopio Canarias, the William Herschel Telescope, the Isaac Newton Telescope, the IAC-80 telescope and computer models to simulate the objects. Thanks to this, we also know that the two stars are rotating around each other’s center of mass at a massive 412 kilometers per second, or 921,618 miles per hour. Be the first to comment on "Massive new neutron star discovered"